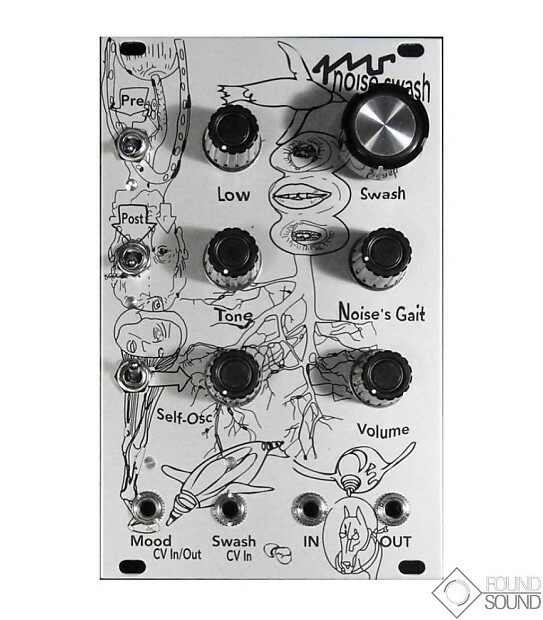 The Eurorack Noise Swash is a chaotic random noise-maker and CV generator. It generates unpredictable continuously morphing oscillations on the Audio Output jack, and random CV fluctuations out the dual-direction "Mood CV" jack. A second CV input jack controls the Swash and Noisegate sections with positive and negative CV voltage. An audio input jack allows for distorting an audio signal beyond recognition, or using audio to trigger and modulate the chaos. Each Swash has its own peculiarly unique sound. Assembled with care by Found Sound. Brand new with warranty.